PAIN and discomfort after your car accident, injury or fall are an indication that the area has suffered damage and should be treated immediately. During a major impact many injuries occur simultaneously; both major and minor. If ignored, the pain may go away temporarily but left untreated as the tissue heals; scar tissue will develop, and not allow the damaged area to heal properly. Pain can arise years after the initial injury. 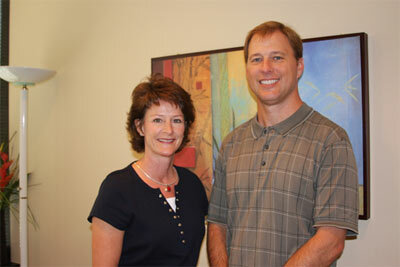 Our goal at Innovative Healing Center is to optimize your recovery while minimizing long-term problems that can occur. 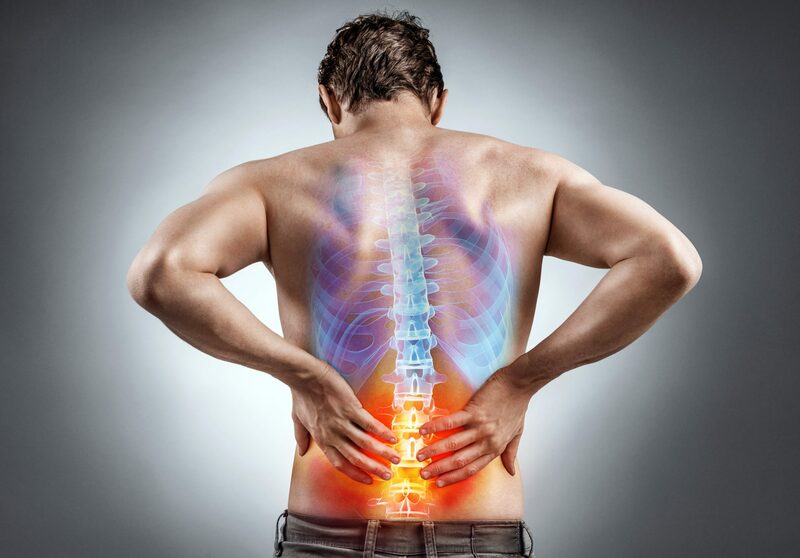 We will help you regain mobility, ease your pain and hasten the repair of any physical damage as quickly as possible. Whole body treatments help restore the integrity of your system. These treatments can identify injuries that may have been underlying and overlooked but need to be treated. Neck and back pain caused by soft tissue damage to the muscles, tendons, ligaments, and nerves cannot be seen on an MRI or X-ray. Pharmaceuticals are often prescribed but they only mask the problem, whereas; acupuncture can help heal it. Here at Innovative Healing Center, we have the expertise and skills to diagnose your injuries and provide the care that you need to optimize your recovery. Tena Scarber, Diplomate in Acupuncture and Herbology and Dr. Kertt Jodie, are experts at reading X-rays and MRI’s, and performing an extensive evaluation in order to properly diagnose you following an accident or injury. Do You Need to Seek Treatment? If you answer YES to any of the questions below, you may be suffering from a misalignment or dislocation due to an auto accident or injury. Are you experiencing headaches, head and neck pains, stiff neck, muscle spasms? Do you have restricted head motion? Do you have equilibrium problems, loss of hearing, ringing in the ears? Are you experiencing eyestrain, increased sensitivity to light? Have you felt light-headed, excessively tired, or blacked out? Have you had any neuralgia (nerve pain) or neuritis (nerve inflammation)? Do you have cold hands or feet, or numbness of arms, hands, shoulders, feet, legs? Are you experiencing periods of unexplained depression, anxiety, irritability? Are you unable to concentrate, have poor memory? At Innovative Healing Center you will benefit from the expert injury care of our highly specialized team. Once we have assessed your injuries, treatment may include: acupuncture, massage therapy, hot stone treatments, electric stimulation, traction and other pain relief techniques. We tailor treatments specifically for you and your injuries. Our patients love the personalized attention and learning about the source of their discomfort. Practicing Chiropractic Care for 20 years. Education: Texas A&M University – Health Science Major. Texas Chiropractic College – Doctor of Chiropractic. Associations: Texas Chiropractic Association, American Chiropractic Association. Accomplishments: Texas A&M University Track and Field Team Pole Vault and Decathlon. National Deans List – Texas Chiropractic College. Class President – Texas Chiropractic College. He aims to restore normal function to the spine allowing the vertebral column normal motion and posture with specific chiropractic adjustments. The simplicity and success of this approach has been documented in numerous research projects. Tena Scarber, M.S., L. AC. Diplomate and Board Certified in Acupuncture and Oriental Medicine. She holds three degrees: Respiratory Therapy, B.S. Exercise Physiology and a Master of Science in Acupuncture and Oriental Medicine. She worked at a hospital in various leadership capacities from 1979 – 1996. At St. Elizabeth’s Hospital in Beaumont, TX, she was the Educational Coordinator, Critical Care Liaison for the CCN course, and an instructor and educator of RT for Lamar University. During her time at Baylor University Medical Center in Dallas, TX, she was responsible for the Adult I.C.U. and Neonatal I.C.U. respiratory therapy, as well as being a member of the heart and liver transplant teams. Her desire to assist people with healthy living and quality of life motivated her to return to college for a degree in Exercise Physiology and Nutrition. Tena Scarber has owned her own successful Alternative Medicine Practice since 1987, combining traditional and alternative medicine with services that include acupuncture, medical massage, nutrition, and herbology. She takes a holistic approach to your health and well-being. She will consider your symptoms in the context of a full medical history and lifestyle circumstances. Has 22 years of experience working with people with all types of injuries and pain. She graduated from The Utah College of Massage therapy in 1997; Texas State licensed in 2007. Her specialties are therapeutic /medical massage, a mixture of Swedish massage, trigger point and deep tissue. Innovative Healing Center will assist you with any billing questions and insurance issues. All fees will be discussed up front before any services are rendered. If you have chosen to have personal injury protection (PIP) as a part of your auto insurance policy, it will cover the expense of treatment up to the limit of your policy. I have lived with a varied degree of neck pain for 25+ years caused by numerous injuries and several car accidents. Throughout those same years, I have had spinal adjustments by three Chiropractors. Nevertheless, those adjustments give temporary relief due to the soft tissue damage in my neck region. The founder of Innovative Healing Center and Licensed Acupuncturist, Tena Scarber, is an incredibly gifted healer exercising her infinite wisdom of the body and her masterful skills as an acupuncturist. In February 2007, I began acupuncture treatments with Tena. I was astonished by my neck’s improved mobility. In addition, the tension in the muscles surrounding my neck and through my deltoid region have diminished dramatically. I have an enormous overall improvement in my neck; experiencing only occasional discomfort. In June 2007, my conviction and confidence of Tena’s healing ability grew intensely stronger. I crushed my lower right leg (from the knee to the ankle) in a work-related accident involving a 5000-pound piece of equipment. I saw Tena within eight hours of my accident followed with two consecutive daily treatments. On the third day, I was walking slowly without a limp. Tena’s use of acupuncture and massage coupled with homeopathic medicine prevented me from any time loss at work and had me well on my way to a complete recovery. Over the next three weeks I received biweekly treatments which made it hard pressed to recognize the severity of my injuries. Currently, four months later, I am 95% healed. The healing components of acupuncture compounded with Tena’s wisdom, intelligence, and skills are monumental. It is essential to acknowledge Tena’s expertise of nutrition, herbs, vitamins, and homeopathy’s – a combination that expedites one’s healing process. The United States will make leaps and bounds in our health care system when acupuncture is recognized by all the insurance companies allowing the populace the endless benefits of acupuncture. Tena Scarber is a blessing to one’s overall good health and a compliment in the highest regard to the ancient healing method of acupuncture. Kim L.